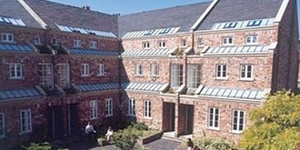 Buckingham House is a modern six storey office building situated in Preston City Centre. Fronting Glovers Court the building is located in the established business district of Preston, a short walk from Winckley Square and only 100 yards walk to Fishergate. The main shopping area in Preston includes St George's shopping centre only 3 minutes' walk away and Fishergate shopping centre within less than 10 minutes' walk. With an array of high street shops and eateries on the door step, Buckingham House offers excellent local amenities. Preston is located on the north bank of the River Ribble and provides excellent transport links with the A6/A59 bypass offering direct access to Junction 31 of the M6, and the M65 and M61 less than 15 minutes away. The City is ideally located with Blackpool to the West and Manchester to the South East. The train station is a 4 minute walk away and is a major stop on the West Coast main line with long distance train services to London, Glasgow and Edinburgh. Buckingham House is a multi-storey, City Centre office building which has recently undergone a substantial refurbishment program to provide a range of modern high quality office accommodation. Situated in a prominent position, within the established business district of Preston City Centre, the building provides a range of offices from small flexible suites of 125 sq ft (1 person) up to 5,420 sq ft. The offices are predominantly open plan and are fully carpeted and decorated throughout, and some suites have the added benefit of a kitchenette area within their own demise. The six storey building totalling 30,445 sq ft is arranged with a ground floor suitable for alternative uses subject to planning permission, and 5 upper floors of modern office accommodation. 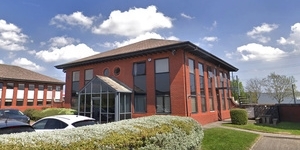 The offices benefit from their own ground floor entrance foyer providing both stair and lift access to the upper floors. There is on-site car parking to the rear of the building. 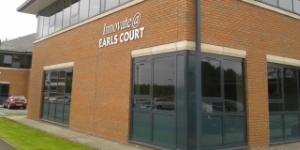 The Innovate offices at Buckingham House are situated on the second floor and provide a range of smaller suites from only 1 person (125 sq ft) upwards, incorporating an inclusive pricing structure. 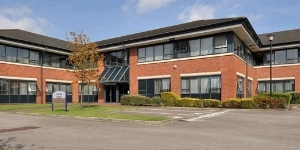 Providing quality accommodation at affordable rates the offices deliver the ideal solution for start-up and small businesses looking for quality office space in a central location. Businesses can benefit from a range of flexible leasing options tailored to meet individual needs. Furniture options are available on lease / inclusive rental or purchase packages. Charges for water, maintenance and service charge are all included in one monthly bill enabling you to concentrate on running your business, not the property. 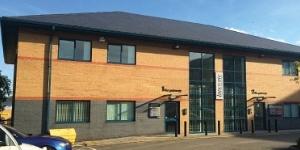 The occupier is responsible for paying the business rates to the local authority. The larger office suites are available on flexible leases at competitive rents. Buckingham House is zero rated for VAT. Details of the rent and other charges are available on application to the letting agents. The EPC rating for the property is D83. A copy of the individual EPC is available upon request.